Ideally, men should not consume more than 80 grams of fat per day and women must limit their fat intake to 50 grams per day. Majority of our fat intake comes from cooking oil or buttery spreads and dressings. However, not every dish needs oil in it in order to become tastier. There are many ways using which you can reduce the amount of fat in your cooking. So today we will study these methods of cooking without oil and also consider low fat cooking ingredients that one can use in place of oil and butter while cooking meat or vegetables. If you have not cooked without oil or butter and this is your first time doing so, go for a bit of experimentation. Cook with half the quantity of oil/butter than you normally use. For example, you can sauté onions and garlic in 1 tbsp olive oil and then add a bit of water to the dish. See if you like the taste. Use herbs and spices to flavor and season the food. This will make up for the bland taste. Steaming, boiling, broiling, braising, microwave cooking, roasting and grilling are some easy ways to cook vegetables and meat without oil. These methods do not need any fat and are healthy and tasty ways to cook food. To cook meat without oil in a pan, defrost the meat and remove the trimmings first. Place the steak in the pan and use medium high heat to sear the meat for 3 minutes. Turn and cook the other side. As stated above, many ingredients can take the place of oil and butter to enhance the taste of food without increasing fat intake. 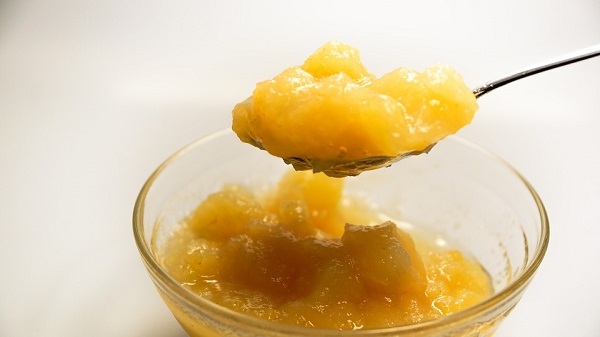 Applesauce– Instead of using oil or butter in baking recipes, add applesauce. Its flavor is light enough not to interfere with the taste of food. Use water and/or broth– For steaming, sautéing and stir frying vegetables or meat, add a bit of water or broth to prevent the food from turning brown. Place a heavy bottom-griddle/pan under the utensil in which you are cooking the vegetables or meat. This allows even heat distribution and also prevents the food from sticking to the bottom of the utensil. Banana– Pureed and mashed ripe banana is a wonderful substitute for butter or oil in baking. Use ¾ cup mashed banana for every 1 cup oil asked in the recipe. (For preventing the brownies/cake from becoming too dry, you may want to to add ½ cup of oil/butter/margarine along with ½ cup banana instead of 1 cup of oil). 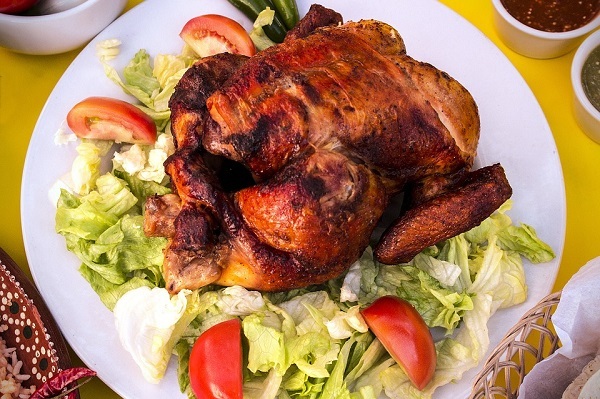 Use lemon juice, herbs and vinegar on salads instead of salad dressings. Use fat separator or a baster to remove liquid fat. Always drain the meat after browning. Avoid using nuts as they are very high in fat. To make gravies and sauces, use corn flour instead of butter to add thickness. Use low calorie or low fat salad dressings and lemon juice and vinegar on salads. In place of whole eggs, use egg whites only. Choose lean meats instead of red meat. Use ground turkey in place of ground beef. You can also use fresh ground fish or soy based foods in place of red meat. Non stick or coated pans and griddles prevent food from sticking and burning and need little to no oil or butter. This is the easiest way to cook without oil. Air fryer is a modern device for frying with very little oil. It gives the same great taste as fried items. These are great for sauteing and stir frying. Simply spray the utensil with a bit of spray and you need not use any oil at all. 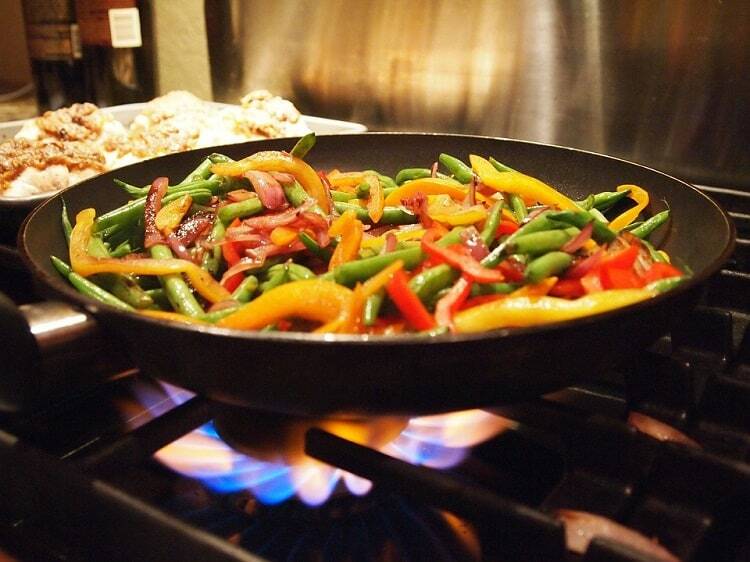 Non stick sprays prevent food from sticking to the pan and burning.